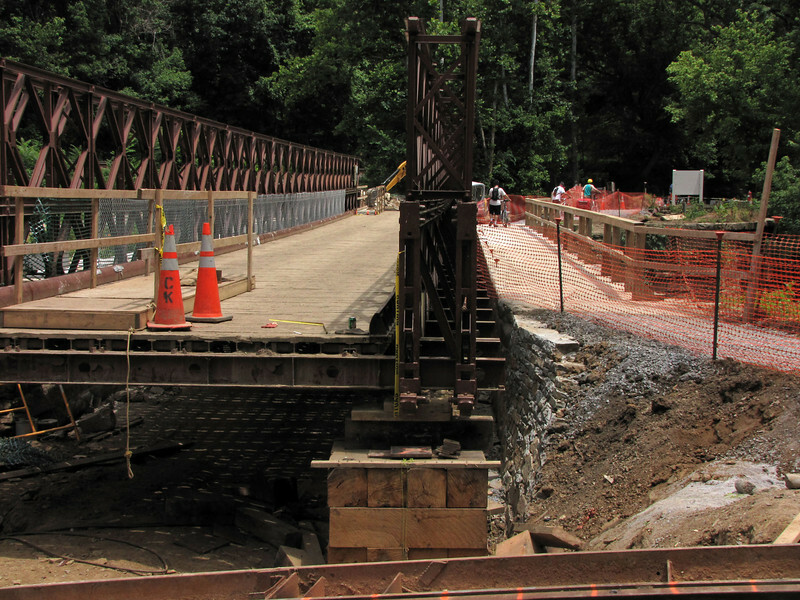 6/25/2011 The Bailey bridge now rests in the Catoctin Aqueduct where it will be dismantled. The bridge was moved at night to avoid disrupting traffic on the towpath. The Bailey Bridge served it purpose for many years. Canal travelers can now once again cross Catocitn Creek utilizing the towpath parapet of the Catoctin Creek Aqueduct.